New York State is well-known for its rigorous and comprehensive homeschooling standards. This article summarizes current New York homeschooling policy and traces its development since the 1980s when the modern homeschooling movement took root. Prior to the enactment of New York State’s major homeschooling regulation in 1988, homeschool families and local school districts were engaged in numerous legal and administrative battles over the permissible scope of regulation. 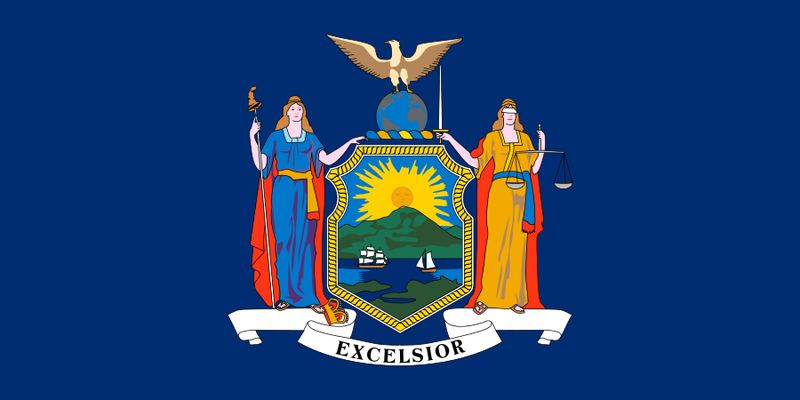 The 1988 policy, set forth in Section 100.10 of the state’s Rules and Regulations, established the expansive oversight regime in place today and firmly entrenched New York as one of the leading states with respect to homeschooling accountability. The article begins with a review of New York State homeschooling law, summarizing relevant statutes and regulations. The legal history is then divided into three parts, corresponding to the years preceding 1988, the year 1988 when Section 100.10 was enacted, and subsequent developments: (1) In the years leading up to the passage of Section 100.10, homeschool parents often clashed with local school districts and several cases were litigated in the courts. The question of home inspections was particularly contentious; (2) The passage of Section 100.10 was the product of negotiations between pro-homeschooling groups and New York State education regulators. It established the robust oversight regime in place today; (3) Although there have been several legislative attempts to roll back the 1988 regulations, no major changes have been enacted on the legal front. Most issues today center on homeschool student access to public schools programs, the age range of mandatory attendance, and state requirements for college matriculation and graduation. (1) Written notice of intent to homeschool submitted before July 1st of each school year. (2) Submission of individualized home instruction plan (IHIP) for approval by school districts. IHIP must contain among other items a list of syllabi, curriculum materials, textbooks, or plan of instruction in conformity with state required subjects and required time of instruction. It must also include dates for submission of quarterly reports and names of individuals providing instruction. (3) Submission of Quarterly Reports containing information as to hours, material covered, grades, and evaluations. (4) Annual Assessments, including results of an approved commercially published achievement test. (eg. Iowa Test of Basic Skills, California Achievement Test, Stanford Achievement Test, etc.). Alternatively, evaluations can take the form of a written narrative prepared by a NYS certified teacher or a home instruction peer group review panel. Written narratives can be used every year from grades one to three and every other year from grades four to eight. Starting in ninth grade, only achievement tests can be used for annual assessments. Parents need not be trained teachers nor otherwise certified. The only requirement is that instruction be provided by a “competent teacher” where successful completion of IHIP forms, Quarterly Reports, and Annual Assessments are taken as evidence of competence. With the exception of New York City, oversight is conducted at the level of local school district. The New York City Department of Education maintains a centralized Office of Home Schooling, which implements Section 100.10 for all of its contained districts. In the years leading up to 1988, a number of disputes arose between local school districts and homeschooling families. The disputes centered on three primary areas: (1) Approval of homeschooling programs, (2) Home Visits, and (3) Testing requirements. At times, these issues were litigated in courts. Approval: Parents who were denied approval to homeschool from their local school districts began contesting decisions, rejecting that the state had jurisdiction to approve or deny homeschooling programs. In a few such cases, charges of educational neglect were filed when parents refused to comply with a district’s decision. Testing Requirements: Conflicts between homeschooling parents and school districts further arose over acceptable forms of assessments. Parents contested the testing requirements, which often included a standardized test component, that certain school districts implemented. Home Visits: Before approving homeschooling programs, many school districts asked that parents agree to periodic home visits. The issue of of home visits was eventually brought to the courts by groups like the Home School Legal Defence Association that opposed the policy. Notwithstanding this general pronouncement, the court found that the Blackwelders were indeed providing proper education and did not convict them with the educational neglect charge. This case was decided in the midst of the HSLDA federal case arguing that the New York education law is unconstitutional, although here the Blackwelder’s were named as plaintiffs (Blackwelder v. Safnauer). HSLDA claimed that the education statutes are unconstitutional on account of “vagueness,” since no clear definitions exists for the law’s requirement of “substantially equivalent instruction” and “competent instructors.” They further argued that the law violates the Establishment and Free Exercise clauses of the First Amendment, due process rights, and the right to privacy under the Fourth Amendment. In response to these legal disputes, DOE officials in conjunction with homeschool advocates drafted a set of regulations, which would replace the advisory guidelines previously provided to local school districts. Michael Farris, founder of HSLDA, and Sharon Grimes, president of Loving Education at Home (LEAH) were especially involved in the process, working directly with the New York State School Boards of Association (NYSSBA) to craft an agreeable set of regulations. The resulting oversight rules, which is the current regulatory scheme in New York, requires that parents who wish to homeschool submit a notice of intent, instructional plans and materials, and quarterly and annual assessments (see first section for details). A previously contentious issue, the permissible scope of home inspections, was resolved by the rule that home visits would occur only once a family is put on probation, in cases of noncompliance with annual assessments. At the time, the arrangement was agreeable to all parties involved. The pro-homeschooling group HSLDA, for example, wrote in its newsletter: “Although the proposed regulations are fairly detailed, they will help significantly to remove the arbitrariness which now poses such a problem in the state. They are therefore viewed positively by virtually all homeschool groups in New York, whose input was sought in the process of developing the proposed regulations.” In the eyes of the homeschooling groups, the new regulations would serve to check overreaching school districts. For state regulators, it lent added weight to the existing education laws and provided new tools for enforcement. Although initially satisfied with Section 100.10, New York homeschooling activists would soon come to oppose it amidst national trends towards deregulation. In 1998, for example, HSLDA wrote: “As the nation’s most highly regulated homeschooling state, New York will continue to be a difficult environment for parents teaching their children at home. HSLDA is working with state leaders to devise a strategy to improve this restrictive state law, which has been in effect for over 10 years.” From HSLDA’s perspective, the required IHIP forms—whereby parents provided information as to curriculums, syllabi, and textbooks—were particularly cumbersome since local school officials too often disapproved the filled out IHIPs. As a result of these complaints and successful deregulation attempts in other states, HSLDA drafted a proposal in early 2000 that would significantly cut back the oversight rules set forth in Section 100.10. Their proposal would eliminate the requirement that parents submit instruction plans (IHIP) and quarterly reports, lower the minimum acceptable scores on standardized tests, and increase options for alternative evaluations (ie. non-standardized tests). The proposal was relayed by , Chairman of the Senate Education Committee, but rejected by NYS Commissioner of Education Richard Mills in 2000. Mills cited “a number of letters from home instructing parents opposing any attempts to revisit or revise the home instruction regulations.” Homeschoolers were not unanimous in seeking to undo the oversight rules which had been in place since 1988. Over the next five years, several attempts were made to roll back the oversight rules of Section 100.10 through legislative means. The proposed bills would insert new homeschooling policies directly into the education statutes, replacing the regulatory Section 100.10 rules. In 2001, Senator Kuhl introduced a bill (S4767) that, like his proposal to the commissioner, would eliminate IHIP, quarterly reports, required subjects, permit alternative evaluation methods every year, lower minimum test scores, and eliminate the provision for home visits once a family is put on probation. Although supported by HSLDA, the bill split the homeschooling community. In fact, a majority of members on a LEAH standing committee set up to give its recommendation opposed the bill (LEAH did eventually support it). One of the primary reasons for the opposition centered on the whether homeschooling policy ought to be governed by a Regulation (“subordinate law”) or a Statute (“superior law”). Opponents worried that codifying certain parts of the regulation into statutory law would hinder future efforts to roll back oversight. The bill was not voted on, expiring with the end of the legislative session. Kuhl proposed an identical bill (S2060) in 2003 which unanimously passed through the Senate but died in the Assembly before coming for a vote (A4598). Again, in 2005 an identical bill was introduced (S3641) but after certain amendments were made in committee, HSLDA and LEAH withdrew their support and the bill was taken off the legislative calendar. In the most recent iteration, lawmakers introduced bills (S4788 and A9091) that, although not as drastic as the previous attempts, cut back certain requirements of Section 100.10. The bills retain IHIP requirements but loosen several other provisions, including: (1) Allowing alternative forms of annual assessment (i.e. non standardized tests) every other year, even through high school, (2) eliminating quarterly reports (the Assembly version keeps it), (3) lowering the minimum score on standardized tests from the 33rd to 23rd percentile, and (4) allowing parents to administer tests themselves without first seeking approval from superintendents. HSLDA and LEAH have come out in support of the bill (see CRHE’s statement). Since then, virtually every year, bills have been proposed that would require school districts to allow homeschooled students to participate in athletics, but none have been enacted into law (see next paragraph for full list). These bills specifically treat the issue of interscholastic athletics by attaching a new paragraph to the education statutes (§1501 or §3202) that prohibits school districts from not allowing homeschoolers to participate in interscholastic sports. Statewide homeschooling group LEAH supported the passage of such bills while NYSPHSAA and the New York State Council of School Superintendents lobbied against them. HSLDA has remained neutral on the subject. In 2002, the New York Board of Regents instituted a rule that colleges in New York only grant degrees to students with official high school diplomas or GEDs. As a result, homeschoolers confronted difficulties enrolling in colleges, prompting LEAH and HSLDA to challenge the rule through litigation, legislation, and lobbying for an amendment in the Board of Regent regulations. In Owens v. Parrinello, a homeschooled student who was denied a degree from a community college because he did not possess a high school diploma or GED, brought a federal suit for damages against the colleges and argued that the Board of Regent regulations violated New York education statutes which permit homeschooling. The court dismissed the claim for damages, in part because an amendment to the Board of Regents regulations in 2004 resolved the issue. The amended Board of Regents rules specify five alternatives to a high school diploma for becoming eligible for graduation from a New York college. Most relevant to homeschoolers, students can receive a “letter of substantial equivalency” provided by the district superintendent confirming that the homeschool program was the equivalent of a four year high school program. Homeschooling groups HSLDA and LEAH were consulted in the drafting of the new regulations and were generally satisfied with the resulting policy. Whereas across many states homeschooling laws have changed significantly over time, New York’s homeschooling policy has been remarkably stable. For nearly three decades, Section 100.10 of the Commissioner’s Regulations has set the terms for interaction between homeschoolers and school districts, as well as the terms for the broader statewide homeschooling conversation. Its endurance suggests that all parties involved have become accustomed to the section’s requirements and cautious about upending the status quo. Recent efforts to remake New York homeschooling policy should take into account the well-functioning provisions of the current rules. New York State Education Dept., Guidelines on Home Instruction, Sept. 1985. Quoted in Blackwelder v. Safnauer. Blackwelder v. Safnauer, 689 F. Supp. 106 (N.D.N.Y. 1988). “Relief in Sight in New York” The Home School Court Report, Vol. 4, No. 2 (1988). “Changes to Home Instruction Considered” The Home School Court Report, Vol. 16, No. 1 (2000). “HSLDA Engages in Annual Battle over IHIPS and Forms” The Home School Court Report, Vol. 14 No. 6 (1998). “Changes to Home Instruction Regulation Considered” The Home School Court Report Vol. 16 No. 1 (2000). And “Commissioner Rejects Proposed Changes” The Home School Court Report, Vol. 16 No. 6 (2000). “Liberating Legislation Introduced” The Home School Court Report, Vol. 17 No. 4 (2001). For the full list of reasons for opposition, see “Report and Recommendation of the LEAH Legislative Standing Committee Majority Report” (2001). Also see “Report of the Minority” (2001). “Senator Seeks Clarification of Extra-Curricular Participation Rules” Home School Court Report, Vol. 7, No. 3 (1991). This state history was composed by Ezra Husney in the summer of 2016. Ezra is a senior at Yale University pursuing a degree in Ethics, Politics, and Economics. His summer internship with CRHE is supported by the Arthur Liman Public Interest Program at Yale Law School.